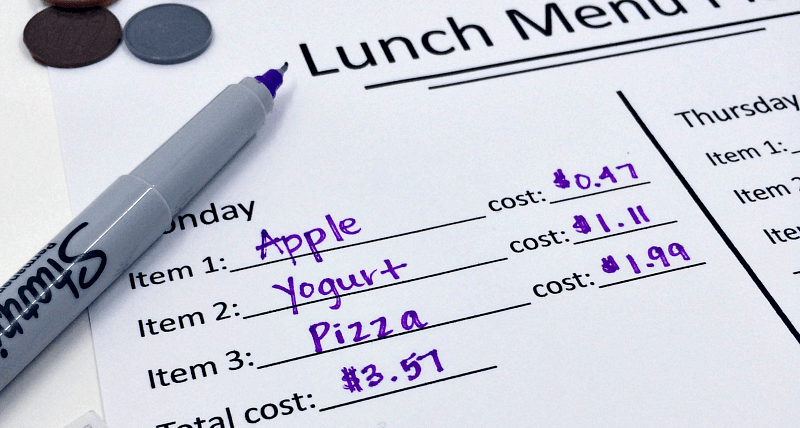 Do your kids struggle with decimal operations? 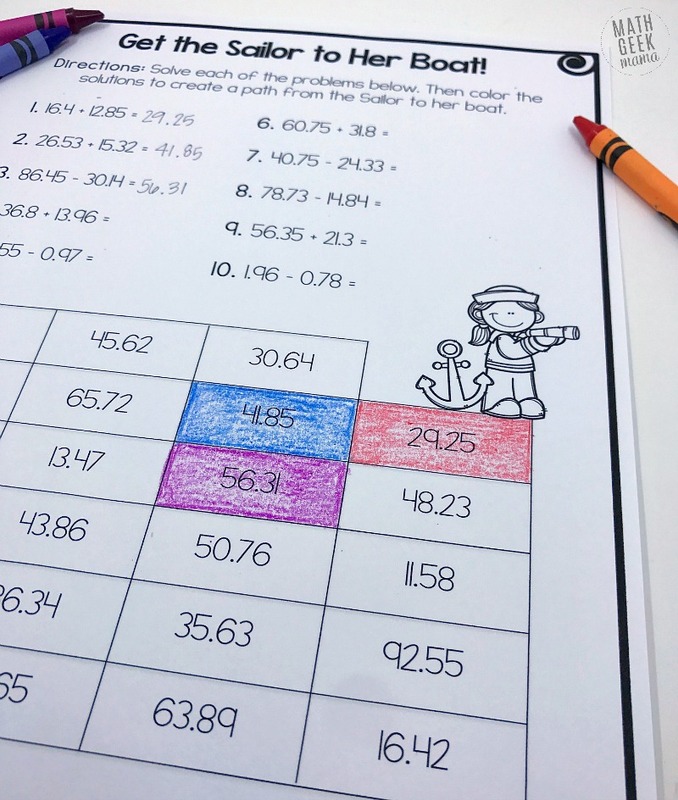 Just when kids start to get the hang of computation with whole numbers, they have to start using decimals and they freak out! But the thing about numbers is, the underlying principles of arithmetic computation are really no different with whole numbers and decimals. So if you give your kids a solid foundation and they have developed number sense, computing with decimals is not so scary. 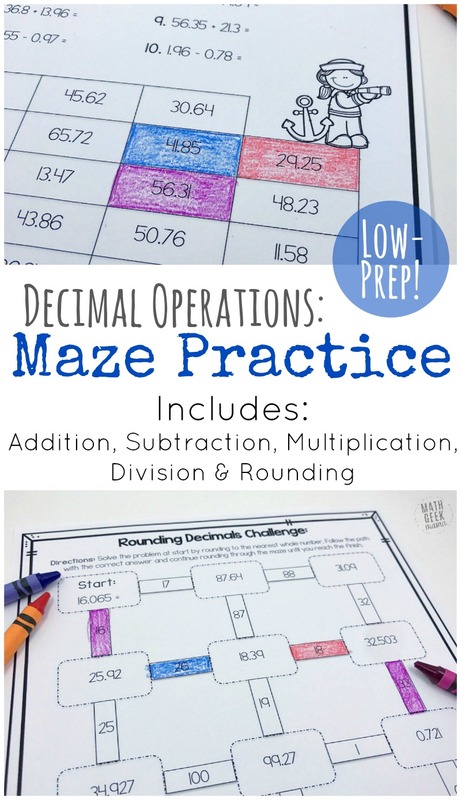 It still takes practice though, which is why I created these simple, low prep decimal operations practice mazes! The great thing about addition and subtraction with decimals is that kids do this from an early age. They may not realize it, and they may not write it out on paper, but we all add and subtract decimals when we use money. Introducing kids to decimals with real world examples of money is an easy, non threatening way for kids to begin to make sense of decimals. See this free lesson for a way to get started! Another fun way to practice is with this simple card game. 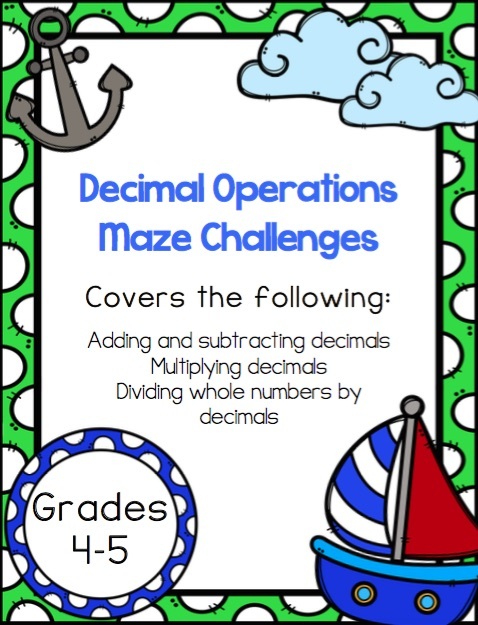 This challenges kids to use their mental math skills to add up decimals until they reach $1.00. Multiplying and dividing with decimals, however, becomes a bit trickier. I would encourage you to start with lots of visuals and hands on models. Base ten blocks can be used to represent tenths and hundredths. And using grid paper to make area models helps kids understand and visualize the underlying concepts. Once kids really understand the why behind decimal operations, you can focus on fun ways to practice. This set of mazes is fun because kids have to correctly solve the problems to find their way through the maze! And it’s great for you as the teacher because this makes them self-checking. If kids solve a problem incorrectly, they won’t find the answer in the maze. Therefore, they know they need to try again! 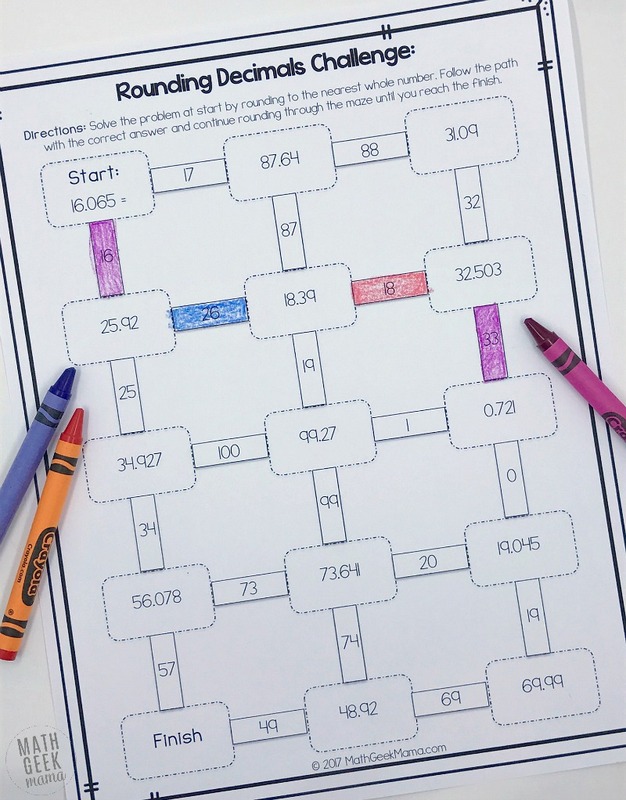 The 4 addition, subtraction, multiplication and division mazes include the problems at the top of the page, and kids color their way through the maze at the bottom as they find the correct answers. The 2 rounding mazes include the problems in the maze itself. 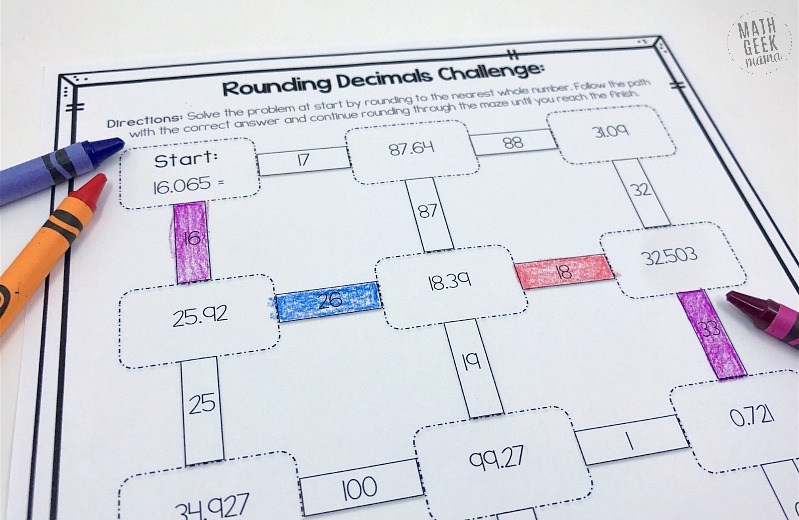 Kids then color their way through the maze as they correctly round decimal numbers. 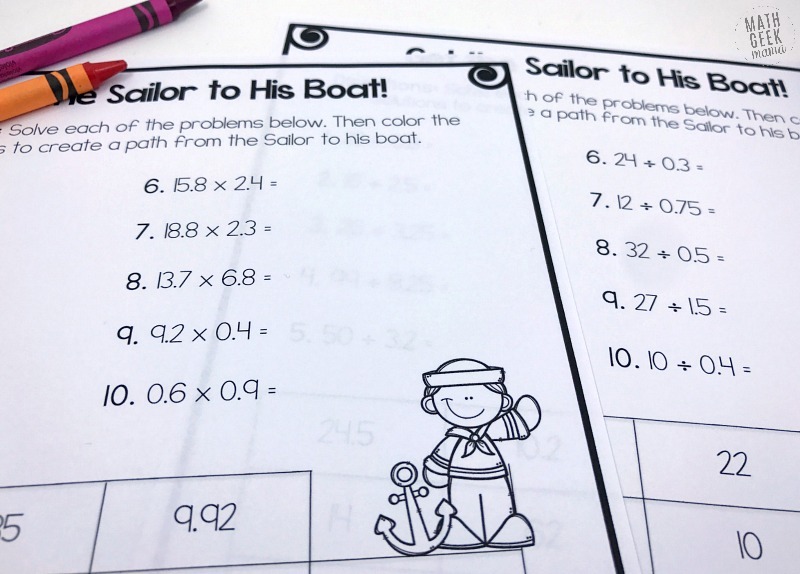 You could even laminate the mazes or place them in dry erase pockets and let kids color the answers with a dry erase marker. Then you can continue to reuse them without printing new ones! Plus, this download also includes answer keys for all the mazes, making it super easy for you to use and check! 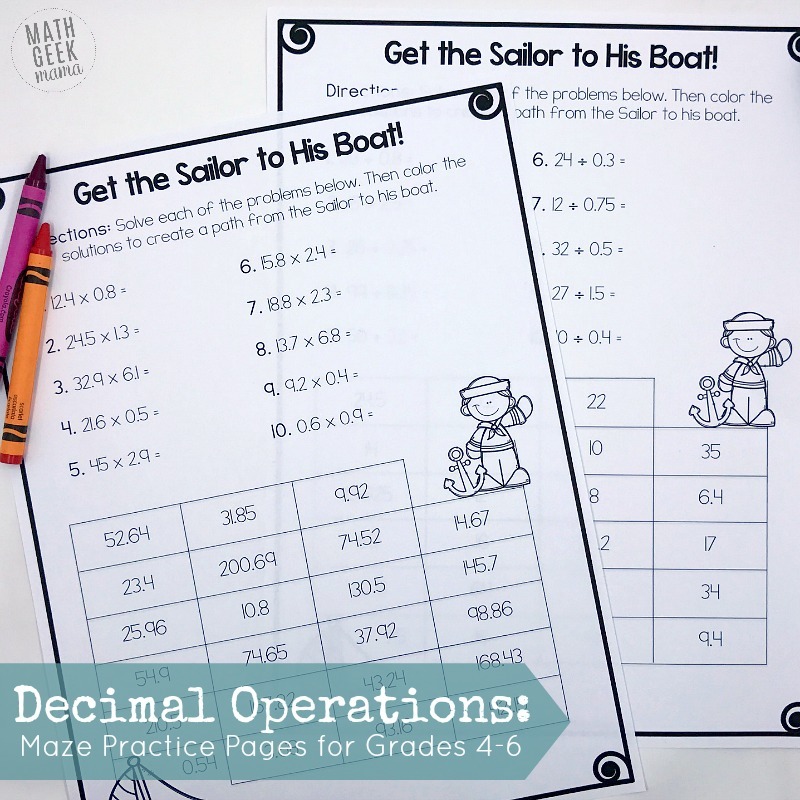 I hope you find these useful as you provide kids with the practice they need to feel fluent and confident with decimal operations!